Parents often feel guilty handing their kids an iPad to keep them out of trouble for a few hours. App developers are now looking to help parents, children, and their teachers use tablets for learning and educating in whole new ways. Today, Apple’s app store boasts of an astonishing 350K+ apps for children, with Android following not far behind, at over 300K+. Here is a look at some of the exciting ways in which kids can have fun with apps and learn in the process. Leo’s Pad by Kidaptive is an interactive story-based adventure with Leonardo da Vinci and friends. As your preschooler engages with the story and plays games along the way, she learns academic, cognitive, and social skills. The games are adaptive and adjust to the skill level of your child, keeping the player motivated to learn. Parents can also access the “Parent’s Pad,” and see how their kids are progressing in functions such as interaction with others, self control, and creativity. Not all children gain exposure to coding at a young age. Many believe code is the language of the future and there’s a whole lot of career potential in this field. Coding apps such as Tynker or Kodable could introduce newer generations to a world of possibilities. Tynker helps kids, aged 9-11, take their first steps at programming. The app makes coding fun using games and puzzles. Many schools are beginning to use the app, and they’ve been astonished at the projects that both boys and girls can create. Parents can even help and encourage these young trailblazers to build and create with Tynker at home. Kodable is a similar app for younger kids, ages 5 and up. With Kodable, kids learn lessons by dragging and dropping commands to program their fuzzy character. Today, app developers are offering tools for better teacher-student communication. The Remind messaging app (earlier called Remind 101), lets teachers instantly text students and parents with homework, assignments, assessments, and other classroom information. The messages are free and one-way, and phone numbers are kept private. This offers a safe environment for messaging. 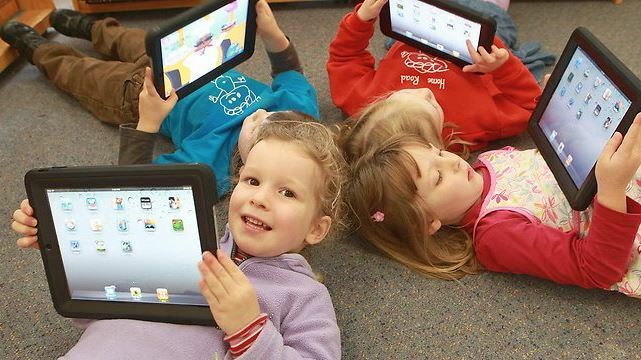 Apps offer the versatility to transform a tablet from a toy to a friend to a teacher. With so many apps on the market today, parents can find ones that will benefit their children’s desire to learn without even realizing it.